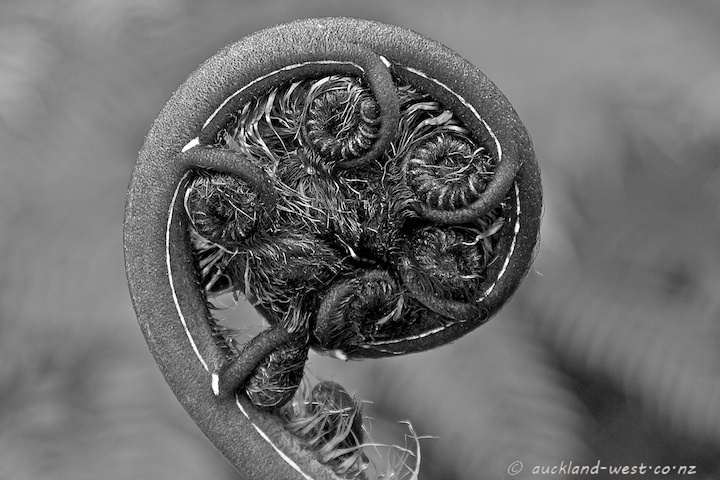 The mamaku or black tree fern (cyathea medullaris) is the largest of the NZ tree ferns. This is an unfurling frond from one of these trees in the bush by our house. Love it! Wonderful compressed shapes just starting to ease their way out. Extraordinary detail! Love the tight pattern and the subdued bokeh in contrast! Fantastic and lovely shot ! !